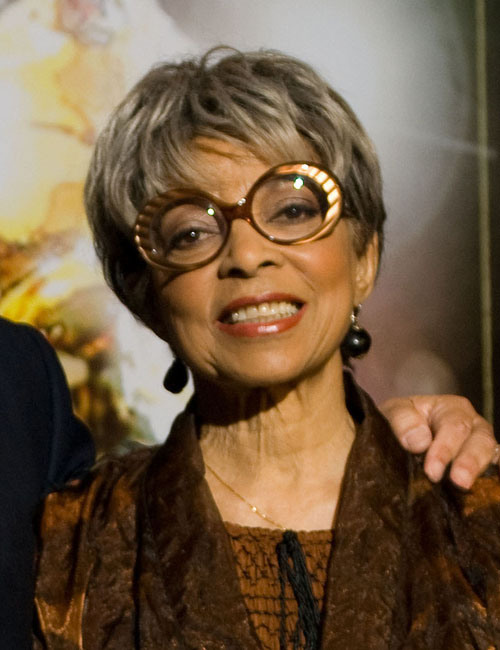 The Cleveland-born, New York-raised actress and activist — winner of an Emmy, a Grammy and a Screen Actors Guild award, among others — not only starred on Broadway (“Take It From the Top!,’ “Two Hah Hahs and a Homeboy”), film (Spike Lee’s “Do the Right Thing” and “Jungle Fever”), and TV (“All God’s Children,” “Feast of All Saints”), but, with her husband and collaborator Ossie Davis, was a major figure in the Civil Rights movement. In 2005, Dee and Davis received the National Civil Rights Museum’s Lifetime Achievement Freedom award. Davis died in February of that year. Dee’s first film role came in 1949, in the musical drama “That Man of Mine.” She played Rachel Robinson in “The Jackie Robinson Story” in 1950, and costarred opposite Nat King Cole, Eartha Kitt and Cab Calloway in “St. Louis Blues” (1958).